When Father Rick Nagel was discerning a possible call to the priesthood, he often went to the Internet for information about that vocation. When Father Nagel ultimately became an archdiocesan seminarian in 2002 and started his formation at Saint Meinrad School of Theology in St. Meinrad, he met a lot of other men considering the priesthood who had followed the same path to the seminary. “I was shocked at how many of my classmates said the same thing. 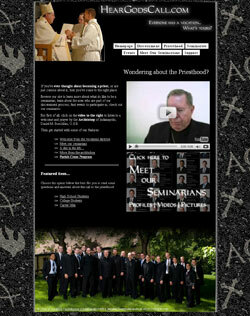 They had started on the Internet,” said Father Nagel, the archdiocese’s associate director of vocations. “We chose a name that would be memorable, that would be catchy and would engage someone to check it out,” Father Nagel said. 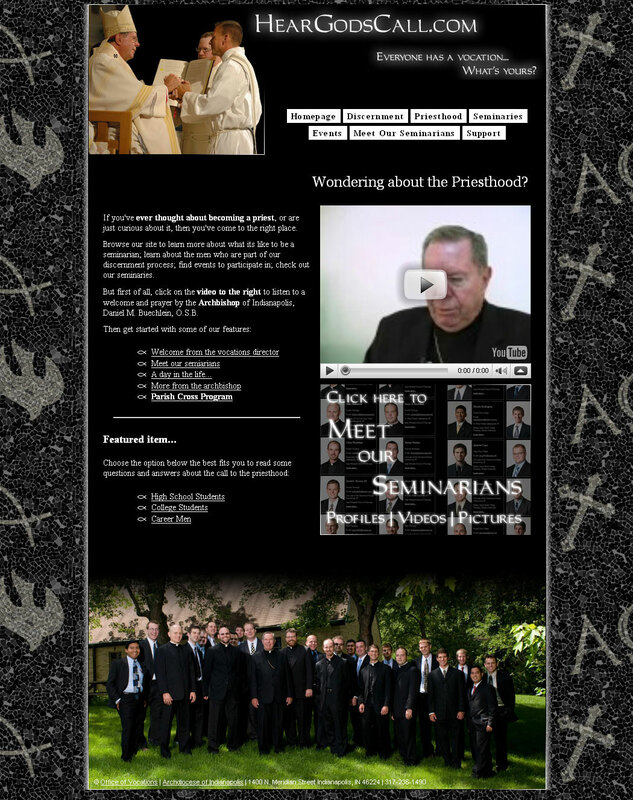 Visitors to the new site, which is linked to the archdiocese’s Web site, www.archindy.org, can watch interviews with many archdiocesan seminarians and priests, have frequently asked questions about discernment answered and learn about upcoming archdiocesan-sponsored vocations events. If vocational discernment took place on the Internet nearly a decade ago for a priest like Father Nagel, who is now 44, then it is even more likely the case for today’s young men, who have grown up using online resources. Just ask Syberg, a junior at Bishop Simon Bruté College Seminary in Indianapolis. That was the thinking of Archbishop Daniel M. Buechlein, who asked Father Nagel to oversee creating the new site. Father Nagel said one feature of the Web site that might help men discern the priesthood is that it shows the breadth of the archdiocese’s seminarians. Father Nagel said that visitors should regularly visit the Web site since he expects updates and additions to it in the future. Archbishop Buechlein has high hopes for the way that the vocations Web site may encourage more young men to give God a chance as a seminarian.